Evolutionists charge that creationism has hindered science, and that “no real scientist believes in creation.” Yet history shows just the opposite: Many of the greatest scientific discoveries have been by scientists who believed in God as Creator. On the other hand, science based upon evolutionary assumptions has resulted in much wasted research money, and ideas that are now in total disrepute. Additionally, evolutionary thinking leaves a trail of hopelessness and despair, and ideas that have been devastating to humanity, even resulting in the deaths of millions of people. Endeavoring to “think God’s thoughts after Him,” as did astronomer Johann Kepler, not only results in more reliable scientific methods and results, but provides us with a positive outlook on life and hope for the future. In this presentation I show some of the consequences of ideas based upon evolutionary assumptions, and contrast them with the great advances in science made by Bible-believing scientists. Bruce Barton has degrees in meteorology and theology, with studies in engineering and graduate work in atmospheric sciences. 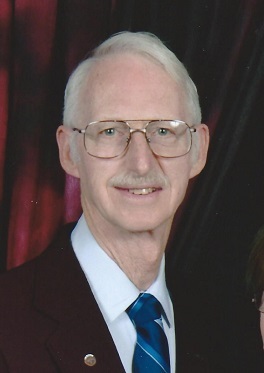 Mr. Barton was an instrumentation engineer in Research and Development for Weyerhaeuser Company until retirement. He has a broad background as a teacher and speaker to groups of all ages in a wide range of subjects including science and technology, aviation, and Bible topics, particularly apologetics. He has been speaking and teaching on the creation–evolution controversy for ten years. He also serves as the vice president for the Creation Association of Puget Sound.